Annual aggregate non-gaming spending by visitors to Macau will rise to between US$12 billion and US$14 billion in 2025, estimated the Macao Government Tourism Office (MGTO) in a 15-year master plan for the sector published on Thursday. 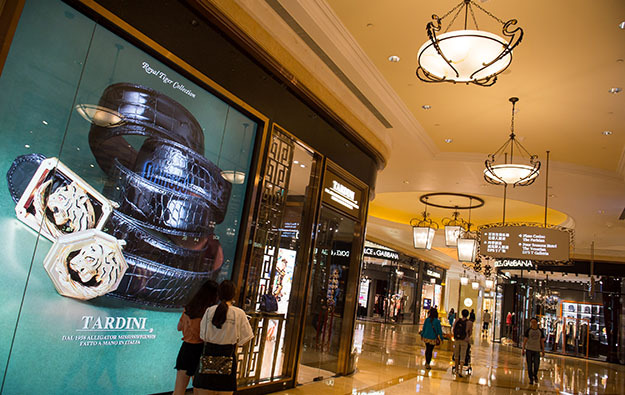 The MGTO prediction in the “Macao Tourism Industry Development Master Plan” used 2015 non-gaming spend as a base, where the tally was US$6.55 billion. It said the value spread mentioned in the 2025 prediction was because the actual annual compound growth in the number of visitor arrivals between now and then was a variable and an influencing factor. Figures from the city’s Statistics and Census Bureau indicated that annual non-gaming expenditure by visitors in 2015 and 2016 was US$6.36 billion and US$6.55 billion respectively. The document issued on Thursday reiterated a previous estimate by the Macau government that total visitor arrivals could reach 40 million in 2025, using the 2015 tally of 30.71 million as a base. Some research done by Macau’s Institute for Tourism Studies, published in March 2015, indicated that Macau’s estimated optimal visitor carrying capacity in 2014 was 89,374 to 92,235 visitors per day, which translated to between 32.62 million and 33.70 million visitors per year. The Thursday document from MGTO also included “action plans” on various issues, such as encouraging integrated resort operators to assist with reducing the use of public transport during peak hours via management of shift schedules. The casino operators were also encouraged to “consider the future potential for utilising the Cotai border [crossing] for mainland non-resident workers”. The bulk of Macau non-resident workers that travel daily from neighbouring Zhuhai prefecture in mainland China do so via Gongbei on Macau peninsula. The MGTO master plan also mentioned the development of a theme park “with distinctive features” in Macau. 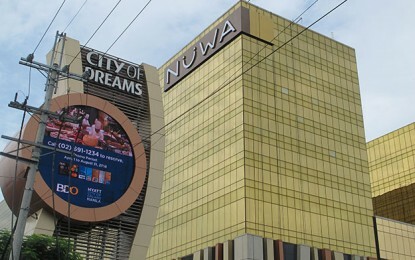 But MGTO director Maria Helena de Senna Fernandes reiterated during a press conference on Thursday that this did not refer to a project that had been proposed by Angela Leong On Kei, an executive director of Macau gaming operator SJM Holdings Ltd and fourth consort of the firm’s founder, Stanley Ho Hung Sun. Ms Senna Fernandes told local media at a launch event held at Macau Tower for the MGTO paper: “While the idea of a ‘Hello Kitty Land’ is circulating in the community, it is not what we are referring to, because we have yet to see such project [taking shape]. But from what we understand, there are investors of some new tourism facilities who are conducting evaluations in Macau, hence we are unable to disclose any details,” the director said. “We are not talking about projects like a Disneyland or an Ocean Park, but some smaller-size products,” she added, referring second to a popular Hong Kong theme park. The 300-page document also said the possibility of streamlining Macau’s licensing system for establishments including restaurants would be considered: one option mentioned was for a provisional licence to allow businesses to trade pending full licensing. In June it emerged that some third-party managed eateries – some of them trading since 2014 – at Melco Resorts and Entertainment Ltd’s City of Dreams resort on Cotai, had been told to close because they lacked the necessary permits. The MGTO master plan is the result of two years of “studies and formulation”, for a “blueprint for the development of the Macau tourism industry in the next 15 years and a relevant guideline for future actions”, stated the document. A cross-departmental “Master Plan Steering” group, to be led by Alexis Tam Chon Weng, Macau’s Secretary for Social Affairs and Culture, will now be established following the release of the plan.